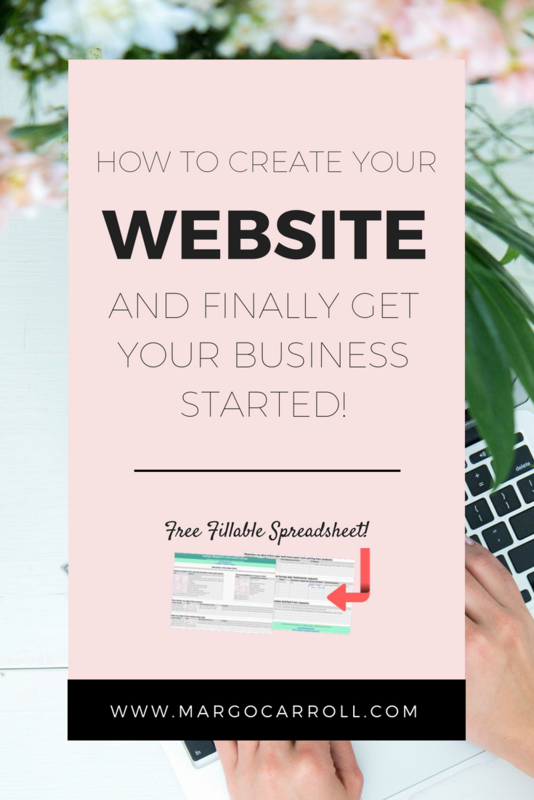 How to Create Your Website And Finally Get Your Business Started! 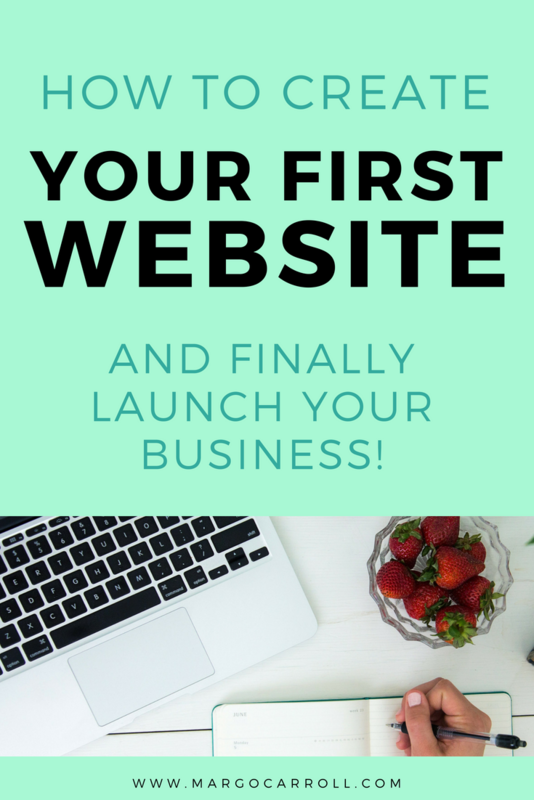 So you've narrowed down your niche and you're just dying to start your new business, but you have no clue how to put together and write your website. Or, you launched a website quickly, on the fly, and you just know it could be getting you better results if you had somebody to walk you through how to do it right. Well my friend, I’ve got just the guide for you. Today I’m sharing my seven step workflow so that you know (in order!) the steps that you need to take in order to get your website launched. Then at the end I'm going to tell you about my favorite free tool for getting all of your copy written and outlined quickly and easily using a simple method. So for step one, you’re going to choose your domain name, purchase it, and then you're going to set up your website hosting platform, whether that's Wordpress, Squarespace, Wix, or a custom built site. Don’t freak out if you have no clue what a domain or host are! The domain is going to be the actual url. So for example, in my case it's margocarroll.com. Now if you're really unsure at this point about the actual name of your business, it could be a good option to start with a domain that is just your [first name][last name].com, and then you can always purchase a different custom domain later that will fit specifically to the name that you choose for your business. I always recommend progress over perfection! You need to just get a domain and get things started right away. Namecheap is my favorite source for affordable domain names and you can do an easy search on their app to figure out if the domain that you're wanting is available. Now let's take care of your website hosting platform. A lot of people use Wordpress and that's a great option, but if you're looking to get things up and running quickly and easily and you don't have a lot of experience with custom coding, or html, you might want to go with a drag and drop website builder such as Squarespace (my personal favorite!) or Wix. I choose to use Squarespace and I am loud and proud about my love for Squarespace as a platform. Some people say that Squarespace is not as good as SEO as Wordpress, but you can make a Squarespace site really effective with SEO as long as you know the right way to go about it. The second step is to choose an email marketing system. This is going to allow you to stay in communication with your audience (aka future customers!). Now I'm not talking about the system that you use to receive the emails for your business. What I'm talking about here is the software you're going to use for email marketing. This is how you're going to send out campaigns, newsletters, promotions, launch emails, and deliver freebies to the email inbox of your readers. There are some great choices for this. If you have a larger audience, you might choose something like Ontraport or Drip, but if you’re reading this blog right now, you're probably just getting started so you might want to choose something simpler. I highly, highly recommend ConvertKit. ConvertKit is one of the best and most effective tools I've used to grow my business quickly - with little effort or tech knowledge on my part - because it's just such a well-built system. You may be considering using Mailchimp. Mailchimp can work okay for getting things rolling for free, but it's really lacking in some automations that ConvertKit does a great job with and saves so much headache by having it templated for you. So I started my business with Mailchimp and I quickly made the switch over to ConvertKit as soon as I saw how it could boost the profits for my business. There are tons of other options out there, from Active Campaign to AWeber and more, but the point is you need to choose one and get it set up! No more procrastination, this is a non-negotiable tool for every business! The third step is very important: you're going to go out and do the market research for your website copy (aka the words you write for your website). You need to know what's going on in the industry that you're entering into, and what your ideal clients need from you. If you’re location based, you're going to do your market research by going out and figuring out the competitors in your niche or your local area that serve the same type of clients that you want to work with. You're going to figure out what types of offers they have, what their unique selling points are, and then you're going to figure out how you compare and what you can offer that is of unique value in that exact same industry. You're also going to want to look through the comments and feedback that your clients are your ideal clients are leaving with those other businesses on their websites and review platforms like Yelp. Figure out what your ideal client’s desires are, how other businesses are delivering on that, and what the remaining gaps are. You need to understand the desires they have that still aren't being fulfilled, because that is your place where you can enter in and offer a transformation that is new and uniquely valuable to them. The fourth step is very closely related to doing your research and that is gathering testimonials. If you're just starting out in this industry, you're not going to have client testimonials, but you can still gather testimonials from friends and family. But if you’ve already seen a few paying clients, go ahead and gather together the testimonials that you already have in one document and you're going to use these as part of the scaffolding for assembling your copy. The fifth step is to actually pull together all the market research that you've done and all the reviews that you've gathered to assemble your website copy. Notice I didn't say “write” your website copy! You should just be assembling it at this point, because you already know the most important concepts that need to be communicated through your copy because you completed steps 3 and 4. Reminder: You can grab the spreadsheet for preparing the elements for assembly into your website verbiage right here. Now you just need to plug those concepts into copywriting formulas for each website page in order to assemble the copy that you need. Step six is to gather feedback on the copy that you've assembled and do a final edit of your work. Now, it’s critical that you gather this feedback from people that would be your ideal clients. If you have some friends that fit your ideal client profile, you're going to go ahead and share what you've written with them before you take it live. Get their feedback, then go ahead and implement any of their suggestions that resonate with you. After this, you’ll proofread and edit what you've put together to be sure it’s ready to go live. 7 | Link Your Website To Your Lead Magnet & GO LIVE! This is the final and most exciting step! Step seven is to link up your new website with your lead magnet or opt-in offer and publish it live online! Get your valuable free opt-in offer integrated with your email service provider so that as soon as your site goes live, you can start growing your email list (the people that you can share your offerings with! ), and then you're going to click publish my friend, and take that baby live. You get to finally get this business started that you're so excited and passionate about. I know that you can do this! 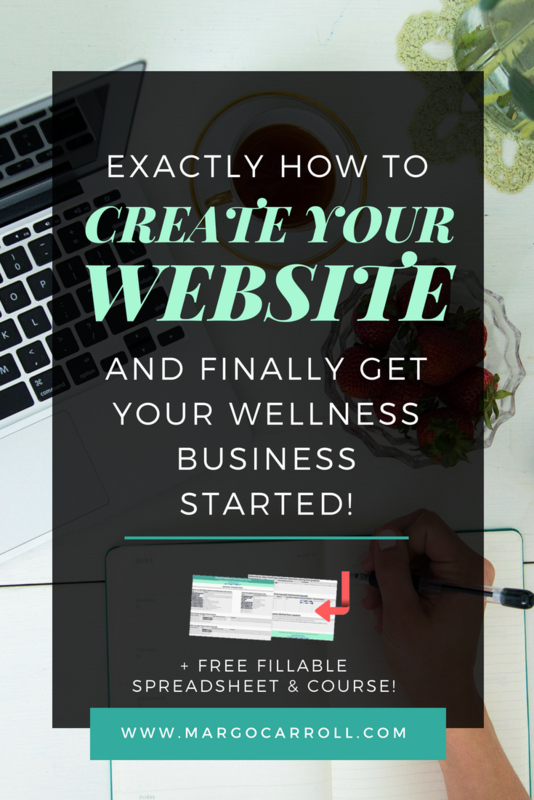 You just learned the seven steps to take to create your website and finally get your business started, and if you've read this far, you must really care about writing words that will get more online bookings for your business! If you want to learn about how to write copy that sells and compels, you're in the right place. You could keep reading slowly through all of my blog posts, or you could kick things up a notch and join us in the free copywriting course for wellness pros, Wellness Websites 101. This weeklong e-course is geared specifically towards wellness businesses, using techniques that I have applied with my one on one clients as well as my copywriting students to increase client bookings online. It only takes a week to go through the course and you'll be able to outline the copy for all of the main pages of your website, and connect with other professionals in the free Facebook group with the E-course. So what are you waiting for? Click "join" with your email and name below and get the first lesson immediately to your inbox!